How has your week been? Mine was quite exciting because I finally released a video makeup tutorial that I have been wanting to create for a very long time now! You can watch that here if you would like to! 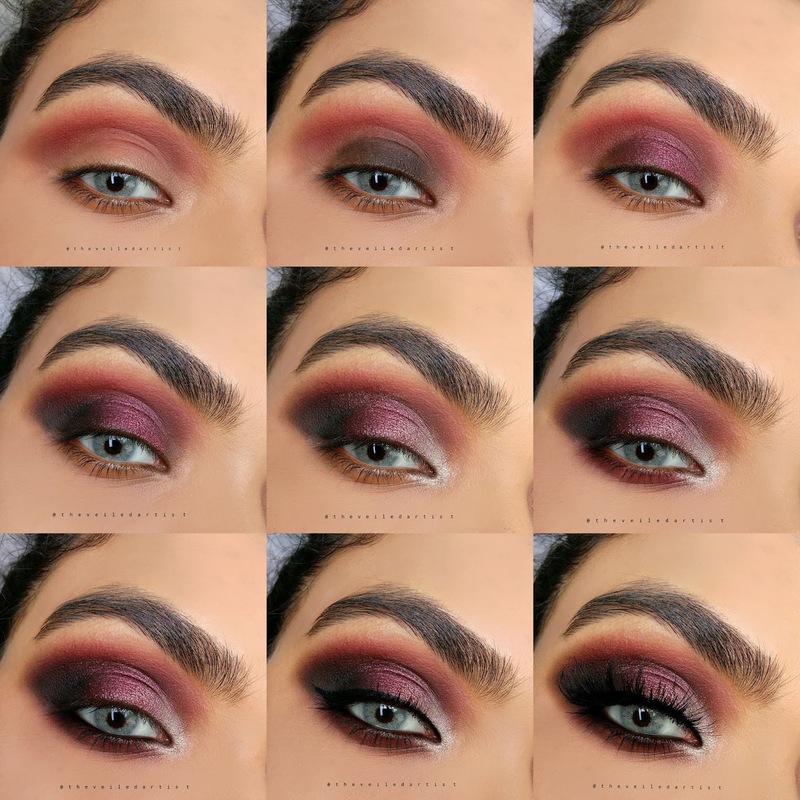 It was on how to easily create Metallic Winged Cut Crease Eyes! 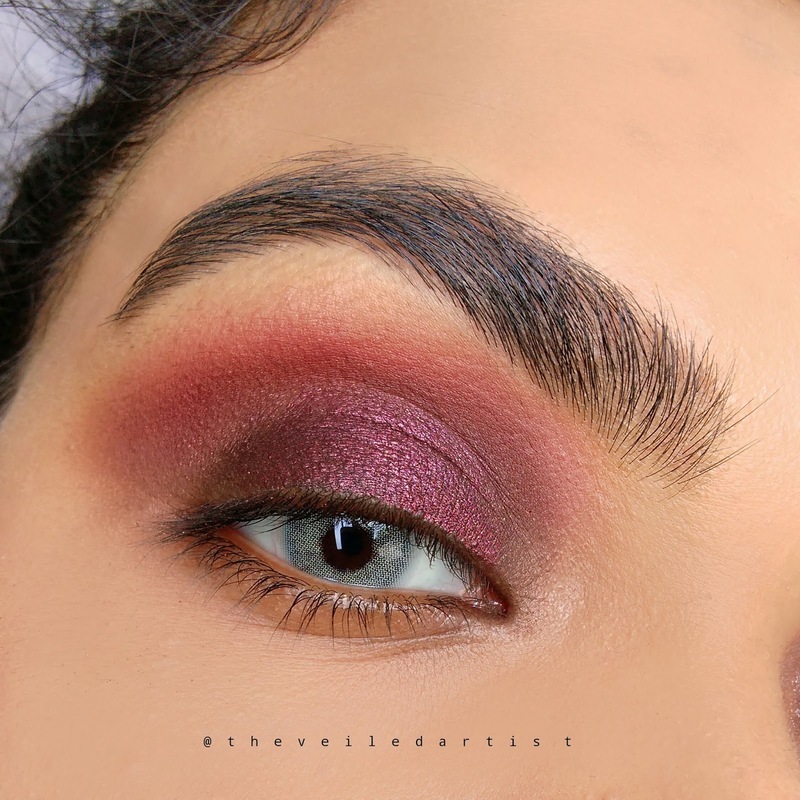 I am here today with a tutorial on this super glam, burgundy, shimmery eyeshadow look that is perfect for fall or whenever you want to feel like a freaking QUEEN! My day started very early today therefore my brain is running quite slow at the moment so excuse the bad jokes haha! And let's get started! 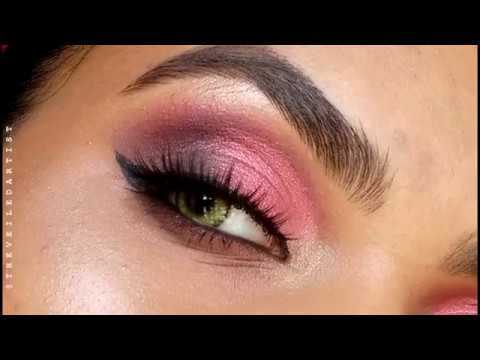 Blend the warm brown eyeshadow into your crease, a little above it and also onto the outer corners of your eyes. 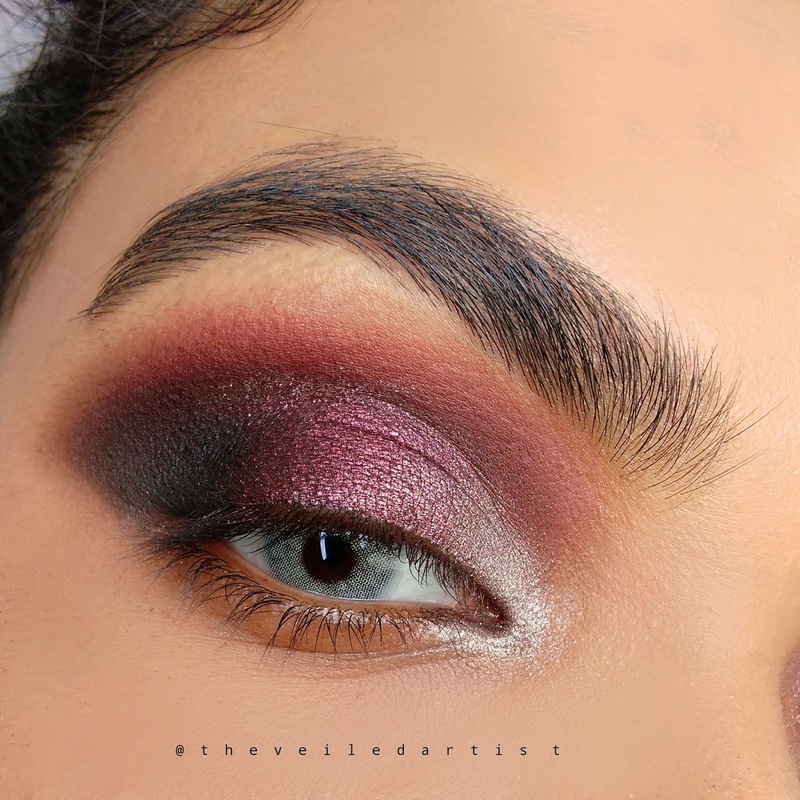 Blend the matte burgundy shadow over the brown we just applied but concentrate this shade more in your crease. 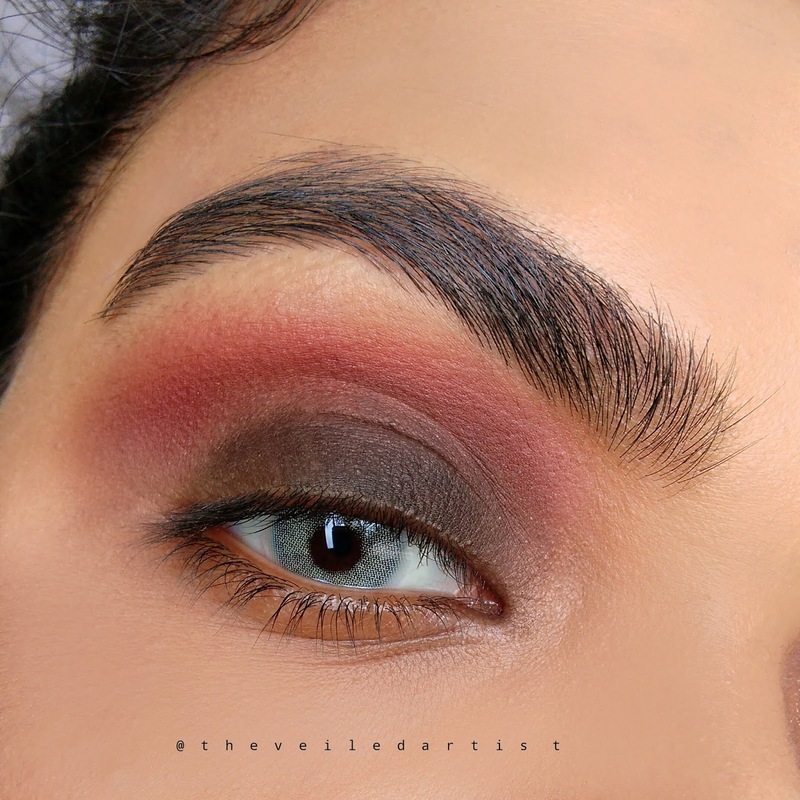 Pat and apply some of the black eyeshadow onto your mobile eyelids as shown below. This is just so that the next shadow we lay down appears richer and deeper. 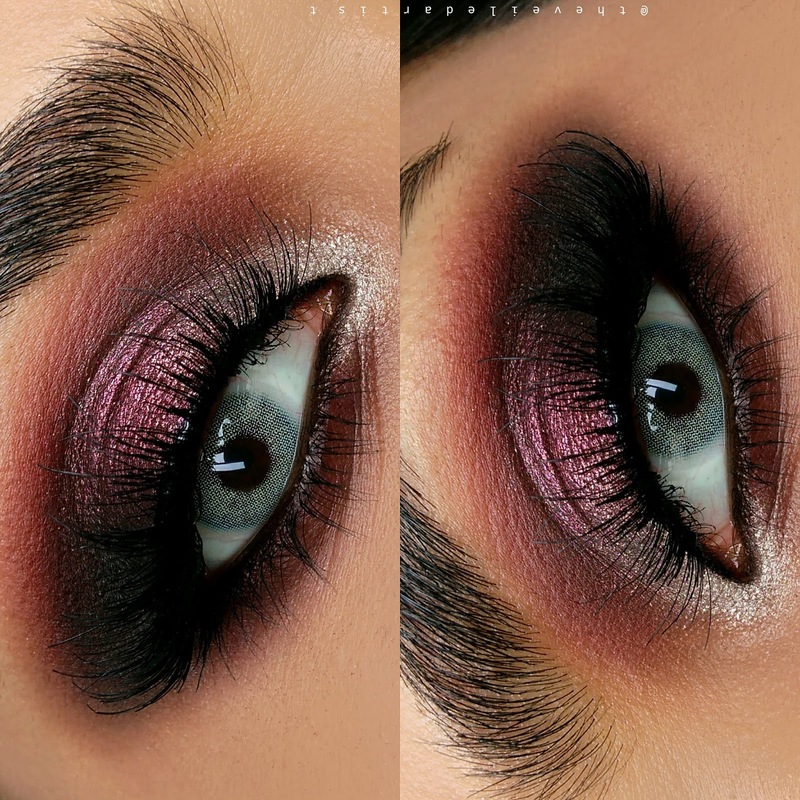 Now pat some of the shimmery burgundy eyeshadow above the black eyeshadow and blend out the top edges in the crease. Blend the matte black eyeshadow onto the outer one third of your eyelids and also blend it into the burgundy shadow we just applied. Using a smaller detail or pencil brush, apply the white shimmery eyeshadow into the inner corners of your eyes and blend it into the burgundy eyeshadow on your eyelids as shown below. 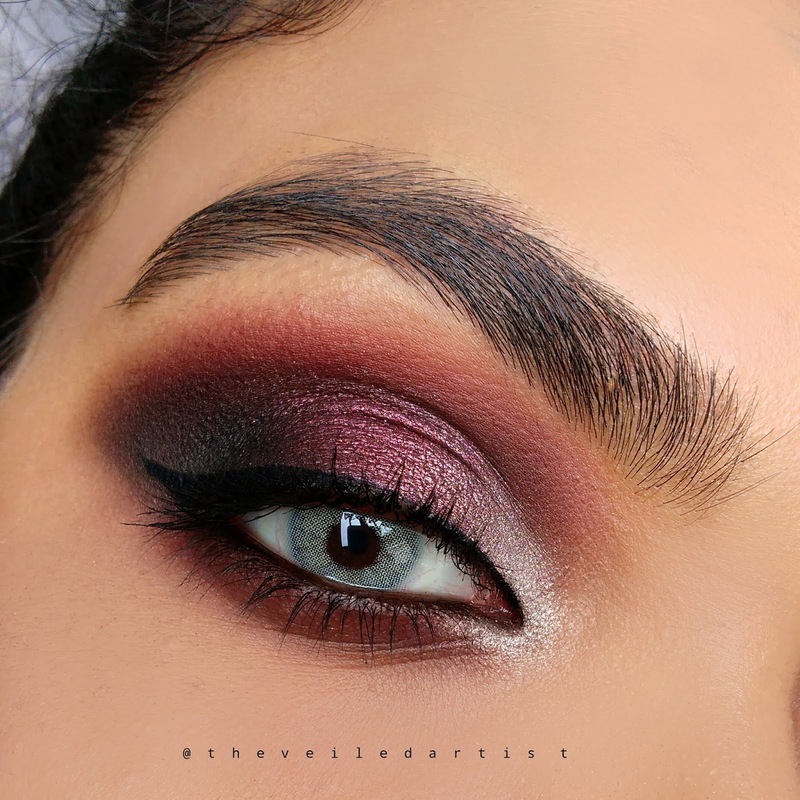 Once again, using a small pencil brush or blending brush, diffuse some of the matte burgundy shadow we used in step 2 all along your lower lashline. 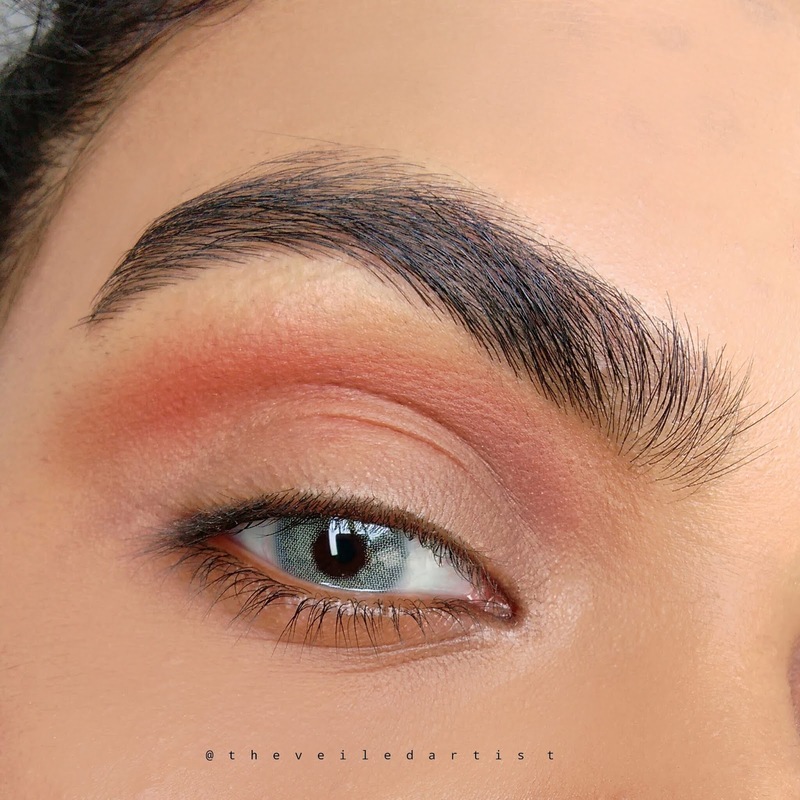 Line your lower waterline with a black pencil liner and blend a very light layer of the matte black shadow along your lower lashline. Apply your winged liner and mascara. 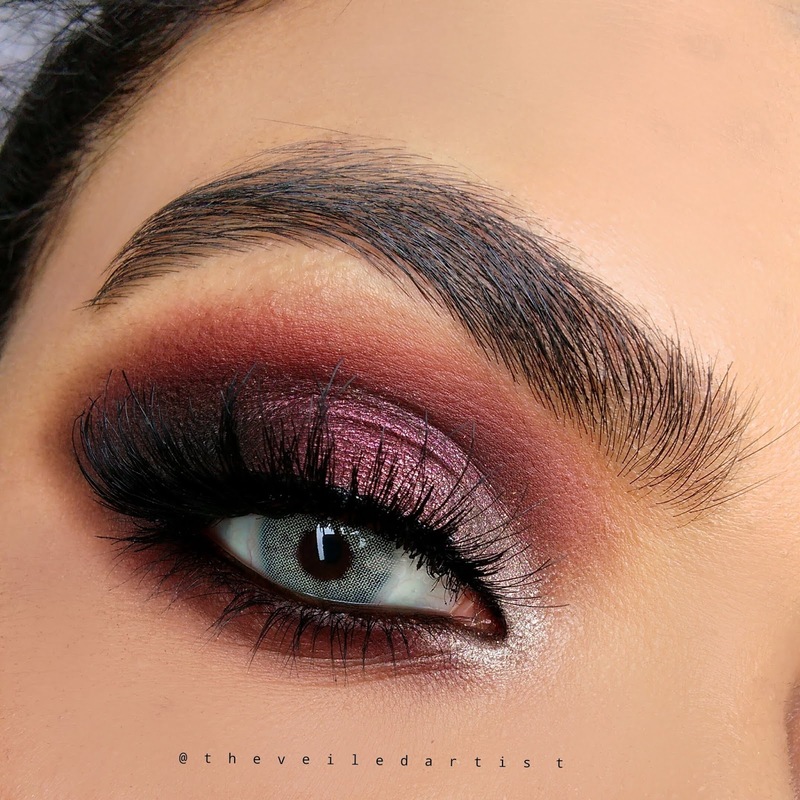 If you're not a big fan of falsies or you just cannot be bothered with them, you can totally be done with the look here because it looks great! But you know I love me some falsies! I used the Huda beauty lashes in Samantha but I feel like the Ardell Demi wispies would compliment this look well too, since it has a more winged out shape towards the outer corners. And that's it loves! You're done with the look! Scroll down to see the full pictorial and to also see exactly what I used to achieve this look.